Course Credit: Students can earn a Certificate of Completion by satisfying all the required meetings and specific learning activities and journals assigned in this course. 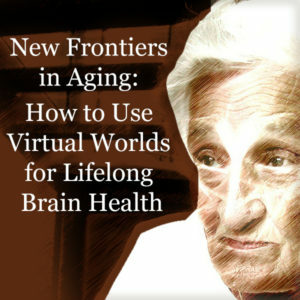 The purpose of this course is to introduce learners to an evidence-based, multi-dimensional approach to brain training in a 3-D virtual environment available on most computers. Although this course is especially valuable for people over age 50 whose goals are to stave off dementia and continue functioning at a high level in daily life, it is also beneficial for people of all ages who are interested in being proactive about brain health. It is designed to accommodate newcomers to virtual worlds but is also relevant for experienced users interested in brain fitness training.